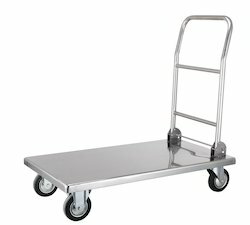 Manufacturer of a wide range of products which include hand trolley, stainless steel platform trolley, platform trolley, heavy duty trolley, multi shelf trolleys and 2 tier trolleys. 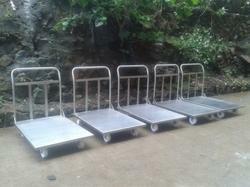 We Keddy Concept manufacturing of hand platform trolley as per customise range. Double Platform trolley applies for housekeeping carts, shop carts, book carts, hotel luggage carts, plastic carts; bellman carts. Our firm is engaged in offering an extensive assortment of Platform Trolley, which is manufactured by our experienced professionals in compliance with the set market norms. The offered range is available in various specifications and can also be customized as per the precise needs of the clients. Appreciated for its low maintenance, perfect finish, corrosion resistance and rigid construction, this range of Platform Trolley is extensively used in airports & railway stations. In order to ensure its unmatched quality, this is stringently monitored on various parameters. 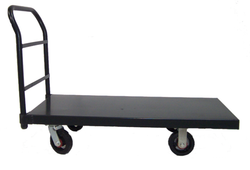 Our company is highly rated in providing Heavy Duty Trolley to the clients. This product is commonly used for handling heavy goods in industries and factories. This product is manufactured using optimum quality raw material under the stern vigilance of adroit team of professionals using latest techniques. We understand here at Keddy Concept that trolleys can be utilized to carry out a number of functions. 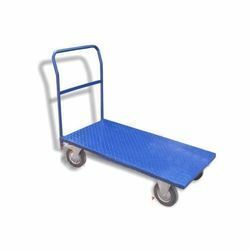 We stock only the best selection of multi shelf trolleys fully equipped with a variety of shelving and storage solutions perfect whatever your industry. Available in a range of styles and materials, we have developed a comprehensive range of multi-functional and specialist multi shelf trolleys. 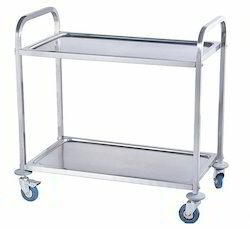 We bring forth to our customers an extensive range of 2 Tier Trolleys that is fabricated using high grade material. Offered to clients in innovative designs and perfect finishes, these trolleys are ideal for for heavy duty application. 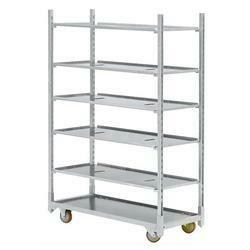 These trolleys come with two shelves and are highly demanded in different industries. Further, these can also be customized as per the specifications provided by our clients to provide them maximum satisfaction. Serving Trolleys apply for housekeeping carts;shop carts; book carts;hotel luggage carts; plastic carts;bellman carts. We are mfg of SS platform trolley as per customers requirement SS Platform trolley in 202 grade and food grade.